I have loved Lush Cosmetics for a long time, I use a lot of their bath products, face masks and some of their cosmetics. I’ve never used any of their hot oils or hand treatments before though so when my Mum picked up the Golden Handshake Hot Hand Mask for me I was really excited to give it a try. 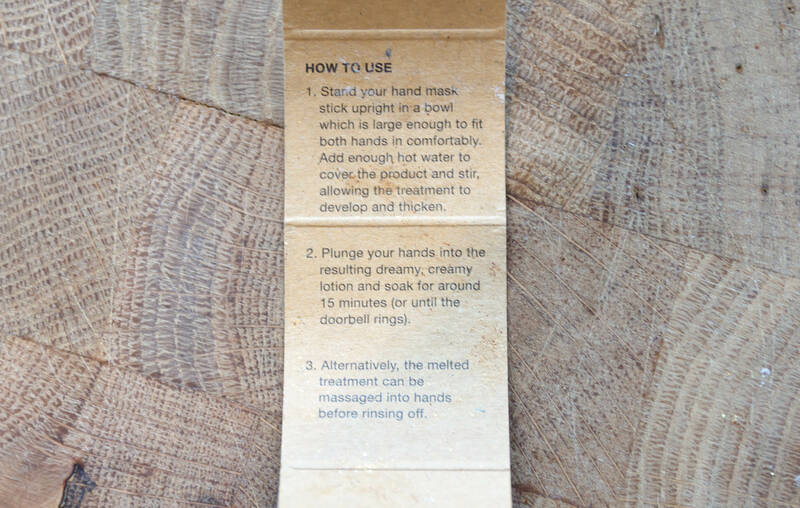 The mask has very loosely worded instructions so I am sure you can use it in a few different ways. Here is a short instructional demo showing how I used the Lush Cosmetics Golden Handshake Hot Hand Mask, I really hope you like the edit – it took a while! I used the mask more like a hot oil soak but you could also use less water to keep it more like a paste. The Golden Handshake Hot Hand Mask smelt really lovely and contains Cupuacu Butter, Murumuru Butter, Almond Oil, Organic Avocado Oil, Argan Oil, Organic Castor Oil, Rosewood Oil and Sandalwood Oil. The mixture does feel a little jelly like which isn’t the nicest but it also isn’t unpleasant. The results I have to admit were a little disappointing however. I had my hands in the mask for around 15 minutes and at first they felt slightly softer but nothing amazing which I would have expected from the time/ingredients. Later in the day my hand actually felt really dried out which I never have a problem with. 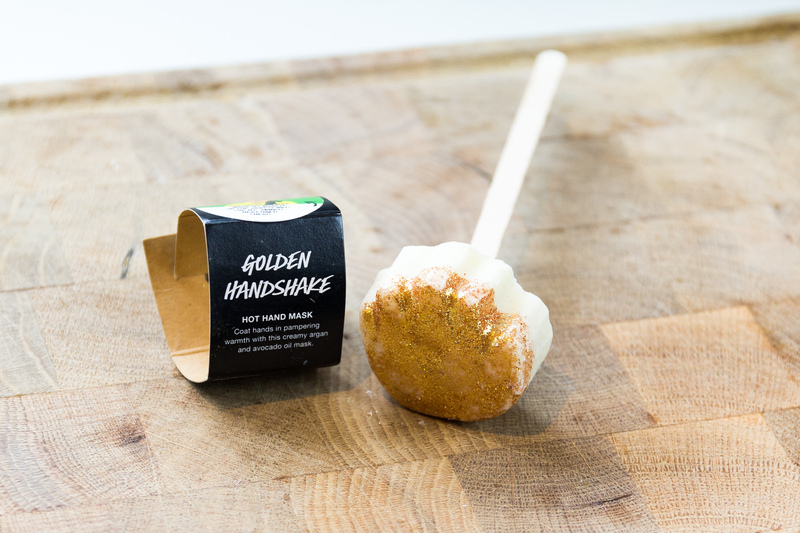 The Lush Cosmetics Golden Handshake Hot Hand Mask seems to be a Marmite product, if it works for you it is fantastic and if it doesn’t it really doesn’t! I am glad I tried it and I will give it a few more goes. I have had it in the fridge and can microwave it for a few more uses. Since being refrigerated it has thickened up a lot so we will see if it works any better the second time around! 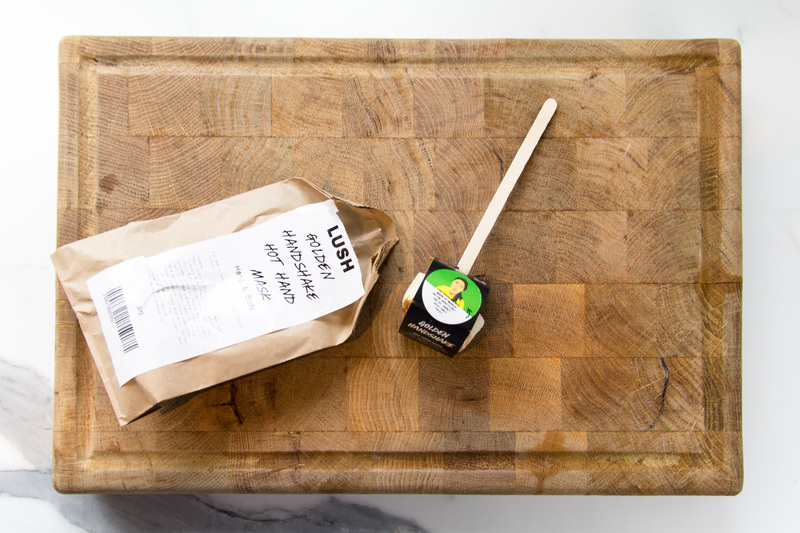 The Lush Cosmetics Golden Handshake Hot Hand Mask is Vegan and costs £2.95. 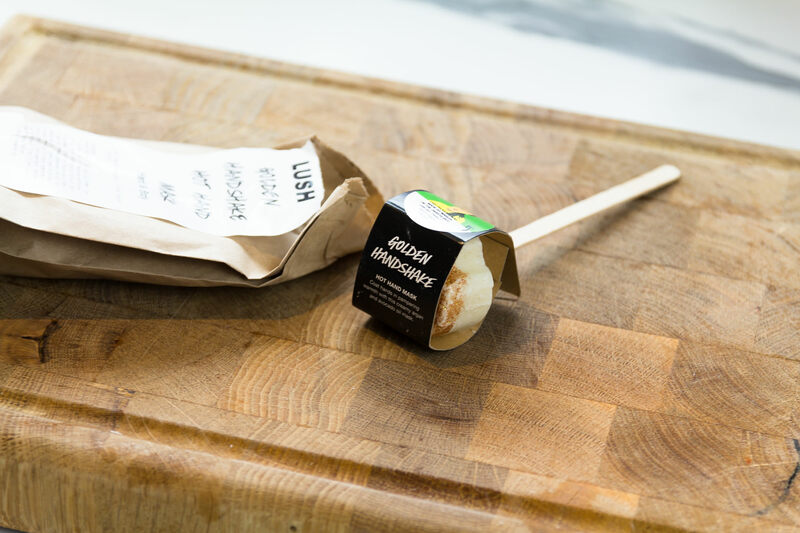 Don’t miss out on my other Lush Cosmetics blog posts and be sure to check out my other Lush demo videos here.